At vpnadviser.com, two of our core values are based on transparency and honesty. This is also a core value of most VPN’s, so it is only fitting that the two are shared beliefs. 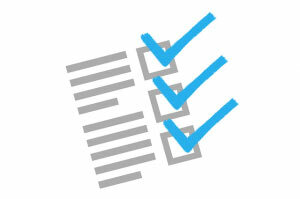 Our ultimate goal is to be your main source for information when selecting a VPN service provider. 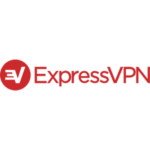 As we undertook the development of our site it was important for us to present you with a site that is detailed, constructed in a friendly manner, offers easy navigation and detailed, honest reviews of the various VPN service providers that are listed on the site. We understand that these are key areas that help make your time spent online as efficient as possible, and in doing so, we hope you will take the time to bookmark our site and regularly visit for your VPN provider needs. Article 13 has passed. In a monumental act of stupidity, the European Parliament has decided to force companies to censor the internet. It’s also imposed the notorious link tax. The story of how we ended up saddled with this piece of trash is shocking in places. For instance, look at the final vote — where several MEPS, confused by a recent change iun the voting order, voted the opposite way from how they’d intended to vote and let the law pass. Do you need a killswitch, obfuscation, certain server locations? What about a mobile app or a specific server location? Encrypting your business wifi? Most VPNs are ‘plug and play.’ But what happens when you don’t know how to do something? Great customer and technical support can make all the difference. VPN speed can vary between providers. You need to know if you’ll get enough bandwidth and fast enough ping to use a VPN, so we test them all. You need to know what you’ll pay for what you get. We also review pricing transparency and value for money, so you know if you’re getting a good deal. When your privacy, your security - or even just your Netflix - depends on your VPN, you need to know it’s reliable. We gauge all the VPNs we review for reliability. Is your VPN suitable for the device and OS you want to use it on? We check if you can use it on Android, iOS, Linux, Windows, Mac and routers. How secure is your VPN? More powerful encryption protocols and additional layers of encryption mean your personal or business data is safer in some hands than others. Not all VPNs are equally private. Some keep logs, others don’t; some offer additional encryption or other features designed to protect you more completely. The best torrenting VPN might noot be the best streaming VPN. We test and analyse VPN functionality to make sure you get the tool for the job. For many, the thought of how data flows over the Internet is not on their radar. People have a tendency to focus on the task at hand and worry about the consequences later. WiFi networks are everywhere today, and with them, security risks are prevalent. Trusting that those networks have your safety in mind is not a wise choice, and is an ideal playground for hackers to practice their trade, steal your information and put your safety and security in jeopardy. The power of a VPN allows you to the ability to remove that risk and surf the net safely, and they give you a far greater level of control on how you appear online. While for some of you a VPN is something new, you will quickly realize as you traverse this site and the information is contained, they using a VPN is a smart and wise thing to do. So if the question is posed “Who needs a VPN” – the answer is simple – Everyone! A VPN is a Virtual Private Network. It lets you use a part of the internet as if it was a private network that your VPN provider owned. 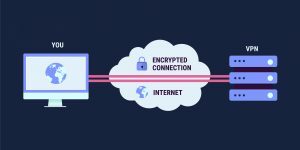 When you’re using one, all the information you send or recieve on the internet comes to you through an encrypted connection to one of your VPN’s servers. That way you can protect your data and conceal your location. Most individuals use VPNs for either privacy, accessing content, or both. Businesses typically use them to keep their valuable business data safe. Any website you connect to knows your location. Cookies stored on your computer identify you to marketers across multiple sites. Any data you send across the internet can be intercepted by a third party and often, it’s easy to read. That’s your messages, your website interactions, your emails. A VPN conceals your location, encrypts your data and keeps you safe. Some content is geo-restricted, so only people in certain locations can access it. Other cotntent is made more difficult to access by ISPs (Internet Service Providers) because it uses a lot of data. A VPN can help you with both. If you can’t access the content you want because you’re in the wrong geographical location, just fire up a VPN. You can choose a server anywhere in the world, and then you’ll appear to be in that location and you can watch, hear and play whatever you want. Not all VPNs work with every streaming or gaming service. 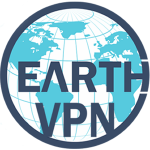 To learn more, check out our Best Streaming VPNs guide. We will update this link as soon as the article is ready. ISPs slow down traffic when it’s data-intensive - like gaming, streaming or P2P sharing. It’s called throttling. A VPN encrypts and disguises the data you send and receive so your ISP can’t throttle it anymore. Choosing the best VPN for you means knowing what you want, and what’s out there. Fortunately, VPNAdviser is here to help. Our extensive series of guides teaches you what VPN features are available and how they can help you; our how-tos show you what to do; and our reviews show you the best VPN for your needs. A VPN is ideal when traveling, whether accessing the net via a laptop or mobile device. The reality is, unless, at home, you are most likely accessing the Internet using a Wi-Fi connection, and while websites will claim to take precautionary measures, the reality is there is little they can ultimately do to protect you, and often are the culprits who collect data about your location, preferences and then use that information to improve their services or sell to others. How often have you gone into a retail store to only be asked for your email address, or postal code? The same applies online and is only increasing. By using a VPN service, you are ensuring that information about you, your preferences, your interests are not viewed by others, and that is invaluable on so many levels. 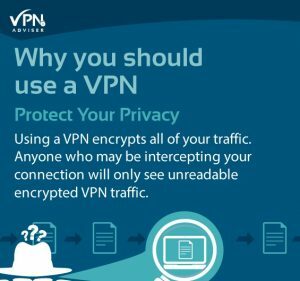 The VPN network cloaks your IP and computer address and therefore makes it difficult for hackers, those spying on networks to track your activities online. A valuable tool that most VPN services provide is DNS resolution as an extra protection layer. This is a tool that changes the URL into an IP address so that others cannot track your movements. This is especially important as some hackers will utilize DNS poisoning to direct you to harmful sites that are designed to steal your data. If you are someone who works online, this is even a more crucial tool to utilize as it provides you a professional layer of security in order to circumvent those who may wish to access professional information or steal trade secrets. So it is rather easy to see that most everyone can benefit from a VPN service, and should! substantial growth as more people are turning to the services they provide for added security and peace of mind. 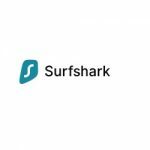 This has resulted in many new service providers offering VPN services as the demand for privacy and protection against cyber crime increases. That growth has made it more difficult in determining which services offer the greatest value and actually provide a genuine secure service. Not only does it require additional research and the use of websites such as vpnadviser.com, it means navigating the many VPN providers and determining which are not fake is growing increasingly difficult. 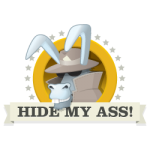 As we mention, no two VPN’s are alike, and as such, reading detailed reviews on VPN providers is a mus. It saves you time and energy and allows you to make an informed decision. Before you invest money and subscribe to one of the services, it ensures you can do so with confidence that you are getting the real deal, a genuine VPN that will allow you the security and privacy you are looking for and expect. to truly test the VPN you have chosen before committing to a longer subscription period. Can I Trust The VPN Services You Advertise? The answer is Yes. The service providers we actively advertise on our site route all internet traffic directly through their servers. These are companies that are established and focus on internet security and being established means you can have a high level of trust. They have built reputations based on the services they provide, the accuracy of those services, the value of those services and that reputation is the result of satisfied customers who use their services.